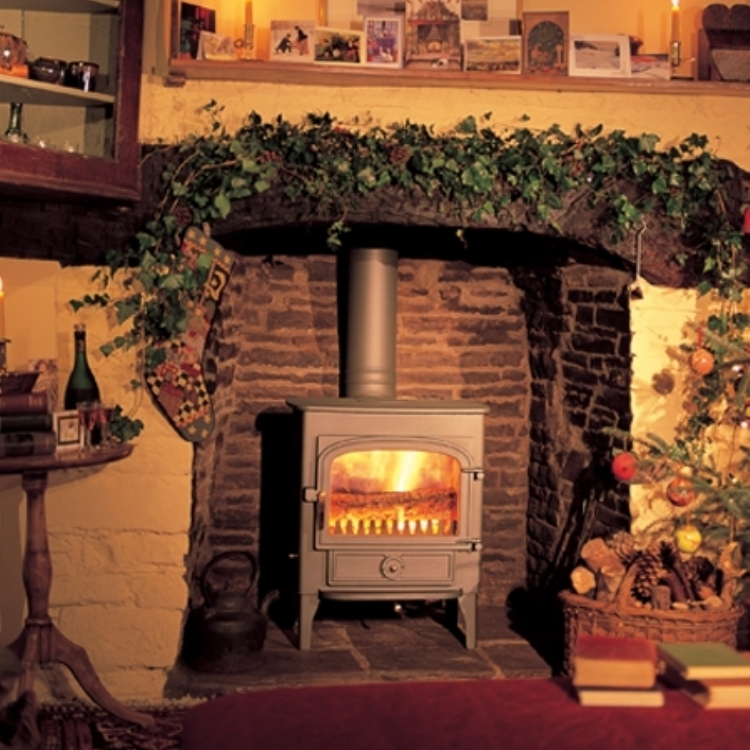 Clearview Pioneer installed in Cornwall wood burning stove installation from Kernow Fires. 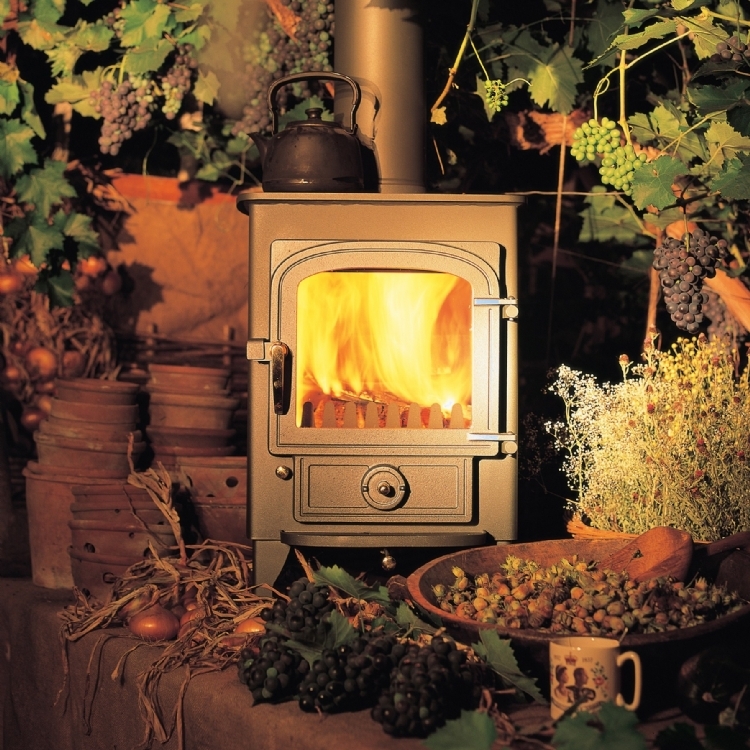 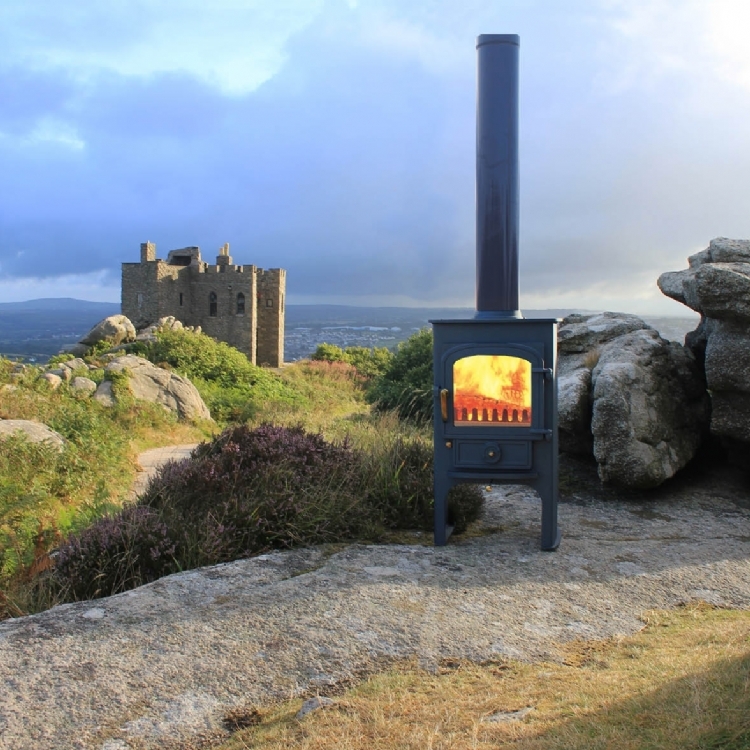 The Clearview Pioneer is a smashing little stove from one of our most popular ranges of British fires. 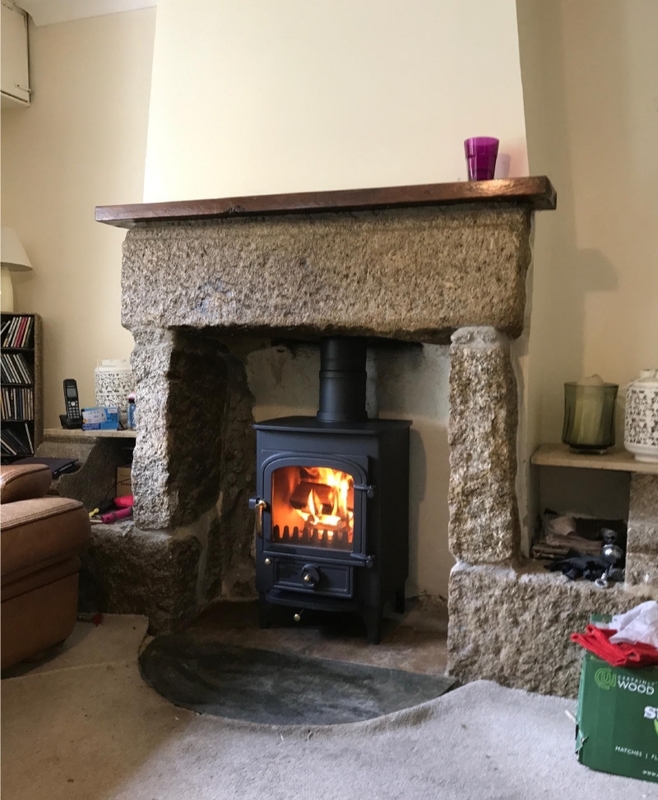 Easy to control and efficient the Clearview Pioneer with it's traditional styling fits perfectly into this beautiful stone fireplace.